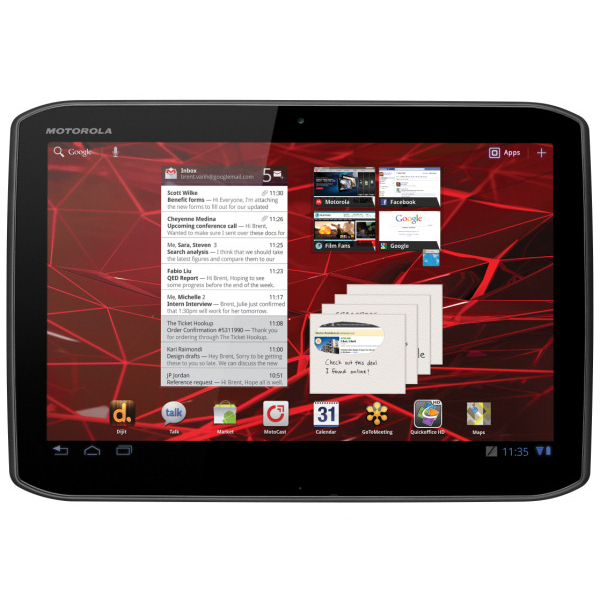 Finally, Motorola Xoom 2 and Xoom 2 Media Edition tablets get official after a long period of rumors and news. 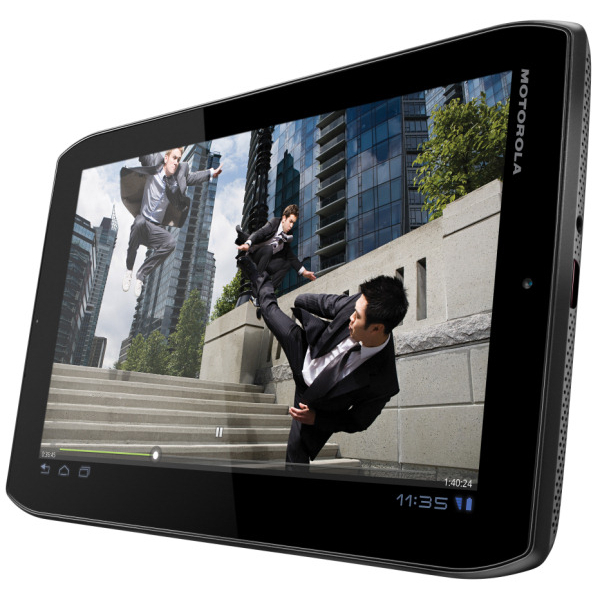 The fans of Xoom Tablet were curious to know what is more from Motorola Mobility for them. Now, wait is over and we have official specs and images of two stunning tablets of Moto. The specs of both tablets are similar somewhat but these targeted different clients. First I will tell you the similarities of Xoom 2 and Xoom 2 media edition then I will proceed with differences. Both Tablets are protected against scratches with the mean of Corning Gorilla Glass. These are running on Android 3.2 Honeycomb Operating system and are integrated with MotoCast app through which users of these tablets will be able to access and stream files from PC to tablet. Both come with a dual-core 1.2 GHz processor, 16 GB of storage, 1 GB of RAM and dual cameras, 5-megapixel main camera and 1.3-megapixel front-facing camera. Motorola Xoom 2 Media Edition is equipped with 10.1 inch HD touchscreen display while Xoom 2 has a smaller 8.2 inch HD capacitive display as I informed you before. However, the display of Xoom 2 is optimized with wide viewing angles and this feature make the device perfect for those who love to watch videos on the tablets. “Tablets are quickly becoming a must-have tool for staying connected, getting work done and having fun at home and on the road. We are very excited about these two new additions to our tablet portfolio that build on the success of the original Motorola XOOM to now deliver more powerful tablet experiences to the European market,” said Victoria McManus, marketing directorUK&Ireland, Motorola Mobility. Xoom 2 is combined with enterprise related features such as data encryption for work email, contacts and calendar, VPN support, Citrix Receiver and Citrix GoToMeeting. These features make this successor of Xoom perfect for businessmen. If you are concerned about sound then you like to hear that Xoom 2 integrates with 3D virtual surround sound while that of XOOM 2 Media Edition comes with adaptive virtual surround sound , multiple speakers and booming bass. Xoom 2 is compatible enough with optional Motorola Stylus and the businessmen can use it while writing emails, taking notes and making sketch. Wi-Fi version of both tablets will hit theUKandIrelandin mid-November. You will be able to buy them from following carriers: Carphone Warehouse, Best Buy, PC World, Dixons and Currys in theUK. Though Motorola Mobility hasn’t announced the price of Xoom 2 and Xoom 2 Media Edition as yet but according to last rumor Xoom 2 will be costed at 400 EUR (roughly $545) by Carphone Warehouse.